Stiker is a robot capable of trading in automatic or semi-automatic mode. If auto=true in the robot settings, the robot automatically opens and closes orders on its own when a signal appears. If auto=false, the robot analyzes the market and shows signals on the screen, while a trader manually confirms opening or closing orders by clicking the Open Buy and Close Order buttons. This is done to enable traders make trading decisions themselves. This reduces the trading risk. Striker is a smart system capable to learn from history. The system analyzes the market and defines the strategy for further trading using a chain of algorithms. Traders only require control and confirmation. This is done to let traders retain control of their deposit. Thus, we reduce the risks of trading in force majeure market situations. Striker is a versatile fighter. 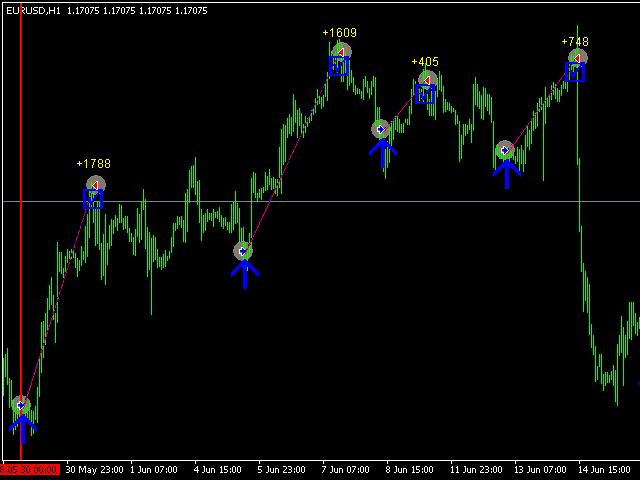 The parameters allow you to configure the system to work on any currency pair and timeframe. You can also choose efficient parameters for trading on both four-digit and five-digit trading accounts. Striker is easy to use. You do not need numerous trading tools to analyze the market. All this is done by Striker. It determines the current situation on the market and forms a trading strategy. It uses virtual images to test it on the trading symbol history and gives you specific recommendations on a perfect time to open and close orders. You only need to control and allow trading. When a signal appears on the screen, you should give your permission to trade by clicking a certain button on the screen. 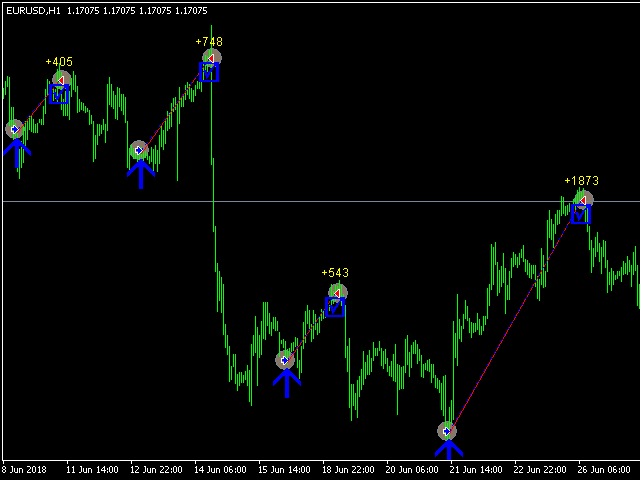 After adding the system on a chart, it first defines a currency pair and a timeframe. Next, the system determines the current price direction. It tries to understand the market it should to work on now. After that, Striker builds the current trading strategy taking the user-defined parameters into account. With the help of a virtual image, the system passes the strategy along the history checking its efficiency. If the strategy proves to be efficient, Striker starts applying it generating signals. Otherwise, Striker forms another trading strategy and backtests it till an efficient strategy is found. 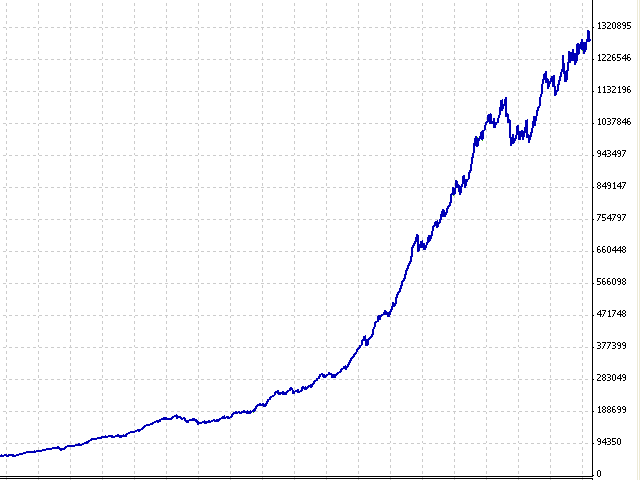 The market constantly changes, and most trading robots eventually fail since they follow a single strategy. Unlike them, Striker adjusts to the market. The system changes depending on the market. It modifies its trading strategy to receive efficient results considering changes on the current market. rate_of_price_change - price change step. Periods - price direction calculation period. The_number_of_deviations - number of standard deviations from the main line. 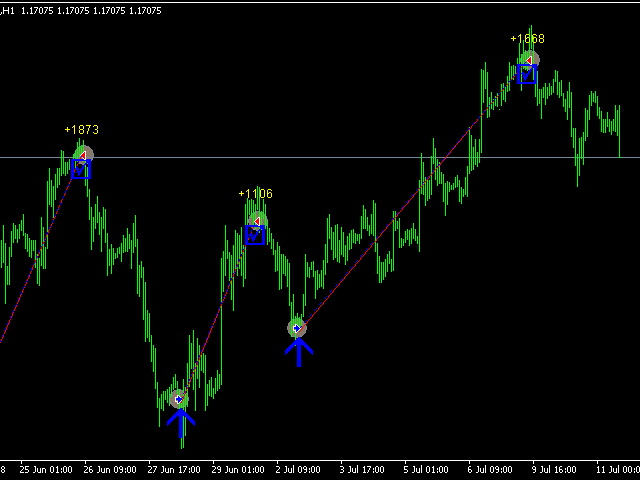 bands_shift - calculation shift relative to the price chart. Lots - number of lots. Spread - your broker's spread. It is needed to calculate the trading strategy. inform - display the info panel on the chart. Signals - send push and email signals. It is particularly useful when trading in semi-automatic mode. Magic - magic number of opened orders. auto - trading mode. 'true' - automatic. 'false' - semi-automatic.